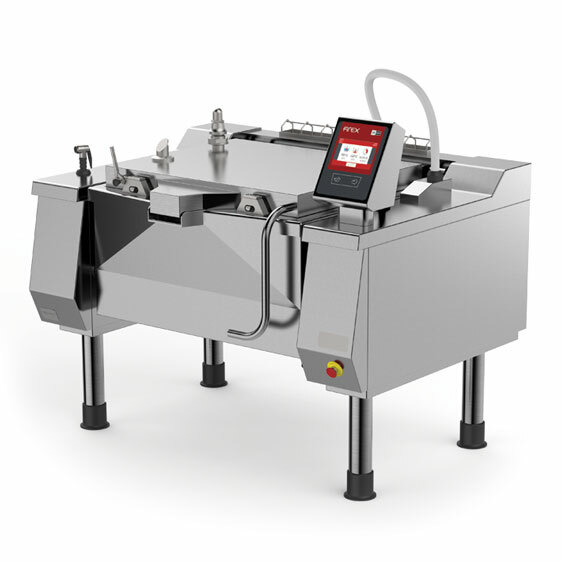 110 L capacity pressurised tilting bratt pan. ETC Touch screen control panel. 145 L capacity pressurised tilting bratt pan. 180 L capacity pressurised tilting bratt pan. 110 L capacity pressurised tilting bratt pan with basket lift. 145 L capacity pressurised tilting bratt pan with basket lift. 180 L capacity pressurised tilting bratt pan with basket lift.